A Celebration of Life will be held for Eric S. Woodworth, 39, of North Bend, on Saturday, February 9, 2019 at 1:00 p.m. at the North Bend Chapel, 2014 McPherson Avenue with pastor Roland Shanks officiating. Private cremation rites were held at Ocean View Memory Gardens in Coos Bay. Eric was born on June 11, 1979 in Coos Bay to Steven C. Woodworth and Patricia H. ( Looney ) Woodworth. He passed away on January 23, 2019 in North Bend. 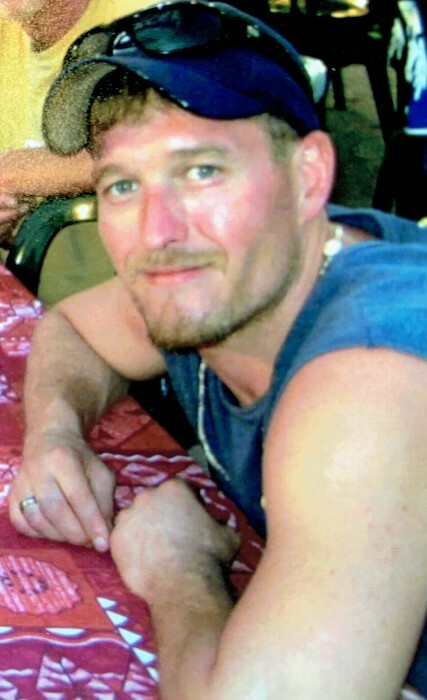 Eric, known to friends as “Woody”, was a native of Coos Bay/North Bend all of his life. At a young age he was a member of the Boy Scouts of America. He was always interested in the outdoors. He attended North Bay Elementary and was involved in T-ball, soccer, football and baseball. As he entered into North Bend High School he competed with the mat club wrestling team. Eric is survived by his parents, Steve and Patty Woodworth of North Bend; grandparents, Ken and Helen Looney of North Bend; brother, Bradley Woodworth of La Pine; Uncle, Jeff Looney of North Bend; Aunt and Uncle, Tim and Heather Looney of Coos Bay; Aunt and Uncle, Pat and Luana Woodworth of Coos Bay; Nieces, Mya and Kyra of Coos Bay; Nephew, Kyle Woodworth of La Pine; cousins, Jadie Creeger of Eugene, Serena, Conner and Reagan Frances of Coos Bay, Mindi, Pat and Olivia Woodworth of Coos Bay, Dillon Woodworth of Georgia and Ashley Woodworth of Seattle, WA. Eric was preceded in death by his grandparents, Jack and Bobbie Woodworth; and his uncle Danny Woodworth.